Six teams from Group G in the 2018 FIFA World Cup will faceoff against each other Sunday. It will be the second match for each of the teams. England will face Panama at 5 a.m. in the first match. Senegal will play Japan at 8 a.m. in the second. The final match at 11 a.m. will pit Colombia against Poland. 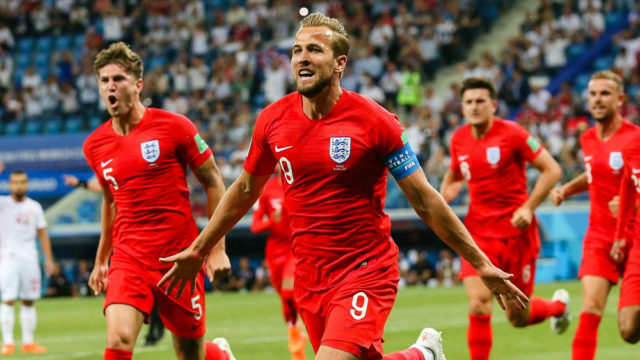 England defeated Tunisia, 2-1, while Panama was a 3-0 loser to Belgium in its World Cup debut. England is 12th in the rankings compiled by FIFA, soccer’s international governing body. Panama is ranked 54th. Panama is 1-4-1 in 2018, scoring one goal. England is 4-0-1 in 2018 with eight goals. Panama is known as “Los Canaleros,” the Canal Men. Its roster includes six players who play for Major League Soccer teams and former Los Angeles Galaxy goalkeeper Jaime Penedo, who now plays for the Romanian first- division team FC Dinamo Bucuresti. The rest of the team consists of three players who play in Panama, two each who play in Belgium, Chile and Guatemala, and one each in Colombia, Costa Rica, Honduras, Mexico, Peru, Slovakia and Spain. England is known as The Three Lions from the emblem of King Richard I. All of England’s players play in England, the only team in the tournament where all the players play in its home nation. Japan and Senegal share the Group G lead. They were both 2-1 winners in their openers Tuesday, with Senegal defeating Poland and Japan topping Colombia. Senegal is ranked 27th and Japan 61st. Senegal is one of two teams in the tournament whose roster consists entirely of players who play for teams outside the country. Sweden is the other one. Senegal’s roster consists of seven players each who play in England and France, three who play in Italy, two each who play in Belgium and Turkey and one each in Germany and Guinea. Japan’s roster consists of eight players who play in Japan, seven who play in Germany, two players each who play in England, France and Spain and one each in Mexico and Turkey. Colombia forward and captain Radamel Falcao said his team’s game against Poland will “be like a final” because both teams need a victory to maintain a credible chance of advancing to the knockout stage. Poland is ranked eighth, Colombia is 16th. Poland is known as the Bialo-czerwoni, the Whites and Reds, the colors of its flag and uniforms. Its roster consists of seven players who play in Italy, four each who play in England and Poland, three in Germany, and one each in Belgium, Bulgaria, France, Russia and Wales.